In this letter Martha Berry thanks Miss Bliss from for her contribution to the Silver Anniversary Fund. 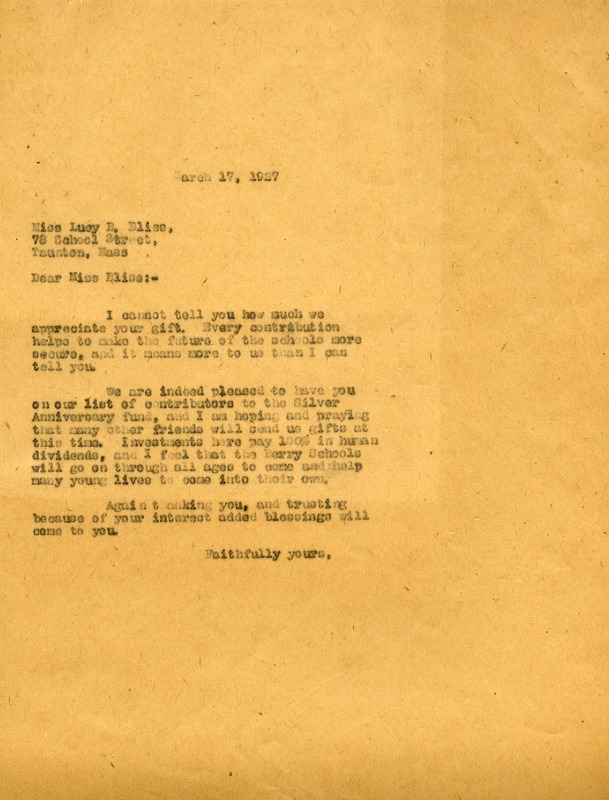 Martha Berry, “Letter to Miss Bliss from Martha Berry.” Martha Berry Digital Archive. Eds. Schlitz, Stephanie A., Jordan Brannen, et al. Mount Berry: Berry College, 2012. accessed April 25, 2019, https://mbda.berry.edu/items/show/6360.